A love for working the soil along with a keen sense of how to build and maintain a thriving business in a very competitive market spells success for these talented and hard-working farmers. On the left is Carl’s sister, Lori, in the middle is Chynna, Jill’s niece. They help run the stand during the busy planting and growing season. In 1997 the Connecticut State Legislature acted on a goal to protect 10 percent of this state’s open land. Legislation was passed that allows for designated private properties to come under state stewardship and be preserved as “open space.” Three important programs were developed under this legislation: The Recreation and National Heritage Trust, which acquires and preserves land for outdoor recreation; The Watershed Lands Matching Grants Program, which acquires land for preservation as watersheds; and the Purchase of Development Rights program (PDR) that provides funding to the Connecticut Department of Agriculture to purchase development rights of farmland and places a permanent restriction on nonagricultural uses of these properties. 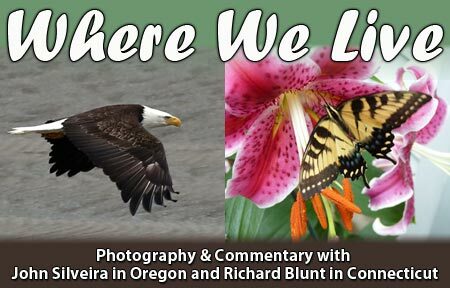 Many of the towns in Connecticut participate in this program using federal, state, and local funds to purchase these lands. The farmlands that are accepted into the PDR program remain in private ownership and the owners continue to pay local property taxes. In 1998, the first year of the “open space” program, the Department of Agriculture purchased the development rights to 125 farms and preserved more than 18,000 acres of Connecticut’s prime farmland for agricultural use. This is the story of how one farm in my hometown embraced the “open space” legislation, and with some hard work and sharp management skills on the part of individuals, created a successful business. The town of Farmington has been active in the “open space” program from the beginning. It purchased two farms, one in 2001 and the other in 2002, acquiring 160 acres of farmland between them. Then in 2007, news that Krell Farm, the town’s largest privately-owned farm, was for sale reached Farmington residents. This land is one of the most attractive and developable parcels in the Farmington Valley and many of us feared that a private developer would buy it and replace this beautiful open space with something less attractive. To prevent such a sale, the town scheduled a voter referendum for January 10, 2008. This was to give voters the opportunity to decide if the town should buy 90 acres of prime farmland from the Krell family. 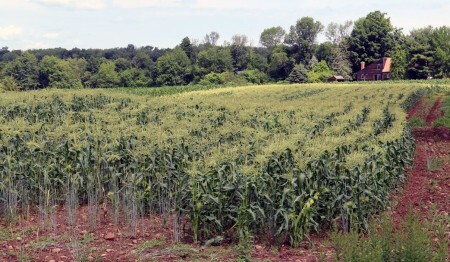 The voters approved the sale and the town purchased 90 of the 98 acres of Krell Farm for $75,000 an acre. This was a bargain when you consider that other less attractive building lots in Farmington were selling for twice that amount. 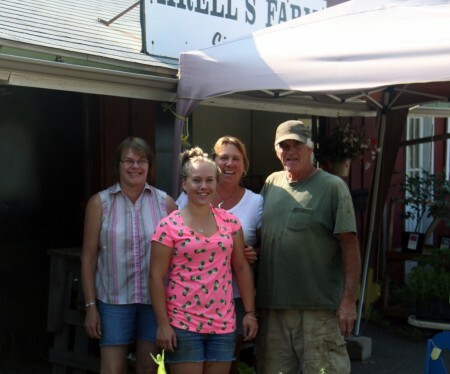 Krell Farm and its familiar farm stand have been owned by the Krell family since 1922. Over the years this family farm has become a well-known and popular place to purchase high-quality fruits, vegetables, and a variety of other farm-fresh products throughout the year. After the land purchase, the big question around town was, “What happens next?” This property is mostly fertile farmland, which is one of greatest resources in the Farmington Valley. There was a concern that the operation of the farm would cease, and the fields would lay fallow. But after the sale, the Krell family still retained eight acres of land from the original farm. However, this property was subject to the PDR section of the Open Space legislation which requires that a family member live on the property and work it as a farm. Jill Jarrett, a cousin of the owner, saw the sale of the land as an opportunity. She knew that Krell Farm had been a successful family business for nearly 100 years and she was sure that with the consistent application of a simple business plan, she could continue operating the farm and further enhance its iconic reputation for providing high-quality farm products to Farmington Valley residents. With this in mind, she decided to lease the farm from her cousin and, using her business plan, she is running it to this day. The first step to achieving her goal was to team up with a long-time friend and professional farmer, Carl Mahannah. 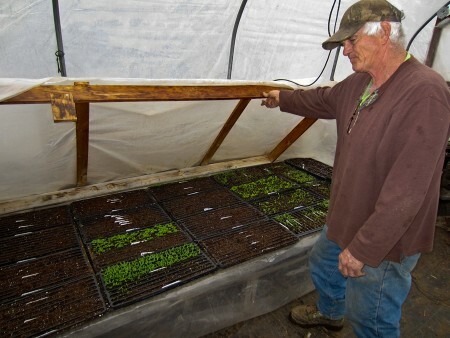 Carl’s family owned and operated a successful 100-acre farm in the neighboring town of Bristol. His family still owns a portion of that farm today. Carl is also licensed trapper and experienced hunter. These are valuable skills that could benefit his partnership with Jill because controlling pests is imperative to running a successful farm. This is where it all begins. Starting in late February, Carl starts germinating seeds. 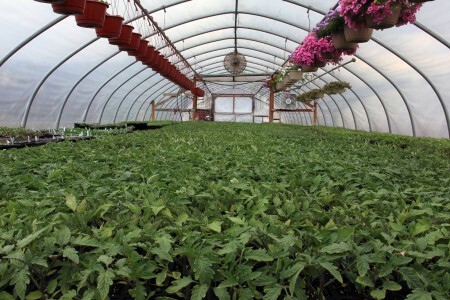 The resulting seedlings will be sold in the greenhouses. 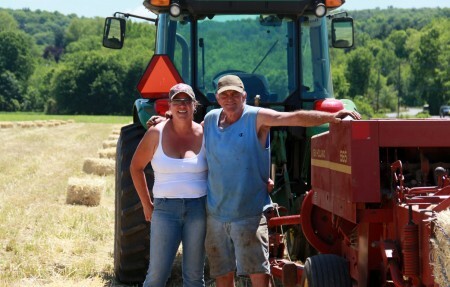 Jill and Carl knew that planting just eight acres of field would not yield sufficient crops to support their business. To secure additional fields for planting, they turned to the town of Farmington, which owns nearly 500 acres of fertile farmland in several locations along the Farmington River, and two fields adjacent to Krell Farm. These fields are all prime farmland that were also acquired through “open space” legislation, and are leased to established growers like Krell for about $35 an acre. Along with the 16 combined acres owned by the Krell and Mahannah families, Krell Farm now leases an additional 55 acres of prime growing fields from the town. Most of these fields are in an area town residents refer to as “the flats,” which are along the Farmington River This area is one of the most productive growing areas in the valley. The ground along the river is deep Windsor soil, named for one of the oldest towns in Connecticut, famous for growing high-quality tobacco used for the outer wrapping of the world’s finest cigars. This is well-drained, fertile, loamy, sandy soil formed by glacial meltwater and windblown deposits. It is the combination of this soil and the clean water from the Farmington River that makes this area one most productive farming areas in the state. Jill and Carl were now leasing an established farm with an outstanding reputation for producing high-quality fruits and vegetables, grown in the finest soil this state has to offer. Hartford County, where Krell Farm is located, includes the Farmington Valley. The county contains 29 towns with more than 900 farms, producing crops on 54,000 acres of fertile farmland. The average farm size is about 60 acres. 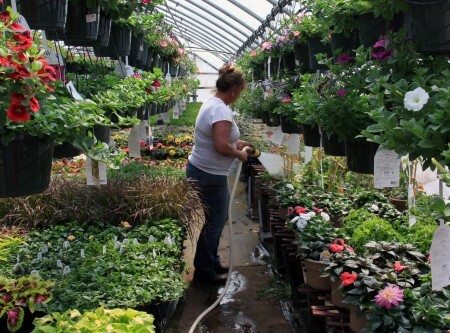 With all of these farms located in such a small area, a resident of the Farmington Valley can get into his or her car and drive in any direction during the spring, summer, or fall seasons and find an open farm stand before driving five miles. Many states, including Connecticut, have developed “buy local” programs to support farmers who are selling their products directly to consumers. A growing percentage of Connecticut farmers with farm stands report increased sales that are a direct result of this “buy local” initiative. 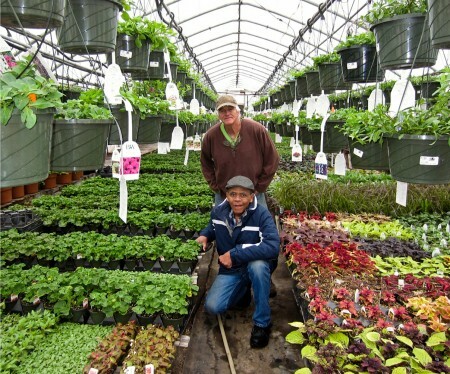 During the early season I made several tours of the greenhouses with both Jill and Carl. During these tours they share details of how they make all of this happen. 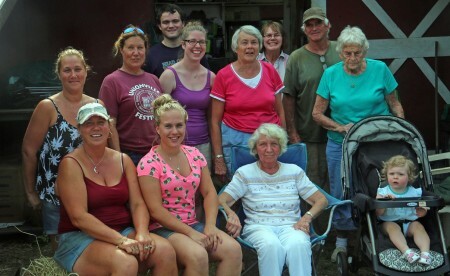 Four generations of family support has contributed to the success of this farm.